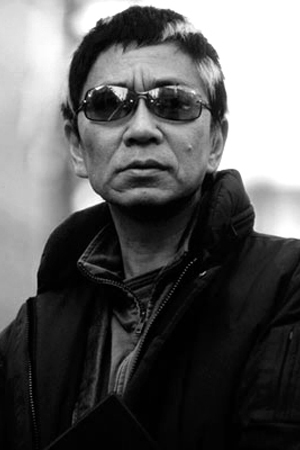 Prolific Japanese filmmaker Takashi Miike will be the recipient of the 2014 Maverick Director Award at the upcoming Rome Film Festival, event organizers announced today. Miike was already schedule to appear at the festival, which runs from Oct. 16-25 in Rome, Italy, to world-premiere his latest film, As the Gods Will. Already diverse and eclectic, the 2014 Japan CUTS film festival in New York City (which begins July 10th through the 20th) has recently added the psychological-thriller Killers to its lineup. Co-produced by Japanese film studio Nikkatsu and the Indonesian Guerilla Merah-Films, Killers follows the exploits of a Japanese serial killer named Nomura (played by Kazuki Kitamura) who uploads footage of his tortures and murders onto the internet. Nomura’s snuff films fascinate an Indonesian journalist named Bayu (played by Oka Antara), who in turn begins to kill and upload his murderous acts onto the internet as well. Nomura soon becomes aware of Bayu’s work, leading to a dark and twisted confrontation between both men. The 2013 Independent Film Festival Boston (IFFBoston) came to a close on Tuesday night, April 30th, with a screening of the film IN A WORLD…with writer/director/star Lake Bell in attendance. Roughly 100 guest filmmakers, celebrities, and special guests were in attendance at the festival including new festival Creative Advisor Casey Affleck, actor Fran Kranz, director Bobcat Goldthwait, director James Ponsoldt, Writer/Actor/Director Lake Bell, Governor Deval Patrick, First Lady Diane Patrick and numerous others. Films were shown in Boston, Brookline, Cambridge, and Somerville over a total of 9 screens. This was the festival’s 11th year. The Narrative Feature Jury was comprised of. Writer/director/actor Jonathan Lisecki, actress Kate Lynn Sheil, and propmaster David Gulick. The Documentary Feature Jury was comprised of Ben Fowlie (Camden International Film Festival/ The DocYard), Rebecca Richman Cohen (War Don Don, Code of the West), and Tim Cawley (From Nothing, Something). The Short Film Jury was comprised of filmmaker Kris Avedisian (Donald Cried), professor Zak Lee (Fitchburg State University), and writer/director Jody Lambert (Of All The Things, People Like Us). Prizes included a a $500 cash prize from the Karen Schmeer Editing Fellowship (goes to Francisco Bello, OUR NIXON) and a choice of two of the following: HDCam, Blu-Ray for Projection, or DCP from Modulus Studios (goes to Sandy Patch, THE LAST ICE MERCHANT). More information on the festival will be available shortly on the festival website at http://www.iffboston.org. One of the highlights of the 15th annual Boston Underground Film Festival (BUFF15) this year was the short film Are We Not Cats. Written, produced, directed and edited by Xander Robin, an up-and-comer from Brooklyn, New York, who graduated from Florida State University with a BFA in Motion Picture Arts, Are We Not Cats delighted the Brattle Theater audience it was screened before. Xander makes great use of his 12 minute runtime and quickly sets up the films simple premise – a young couple are on a road trip when the young man (played by Michael Patrick) discovers his girlfriend (the beautiful Kelsea Dakota) has been compulsively eating his hair while he sleeps. Patrick and Dakota work well together and the latter gives a daring performance that should be commended. With such a short runtime, it’d be impossible to discuss what occurs within the film without spoiling the ending (and boy what an ending it is). The final eight seconds of the film make the movie, a fact which Xander admits to in his interview with me (to be posted later). To give away this brilliantly quirky film’s ending would be a disservice to Xander and those who have yet to see it. This is a little movie with a big heart and it definitely stood out at this year’s festival. Sion Sono’s ‘Guilty of Romance’ is coming to the Boston Underground Film Festival! It’s March everyone, and that means the BUFF (Boston Underground Film Festival) is gearing up to showcase another stellar collection of bizarre, wacky and visceral films from around the world! The big news for us who are obsessed with Japanese cinema? Well, Japanese auteur Sion Sono will have his 2011 film Guilty of Romance screened at this year’s BUFF event. Sono’s been on a bit of a roll as of late. His 2008 film Love Exposure drew rave reviews from around the world and made it on many best of the year lists. The four-hour film is one of my personal favorites. 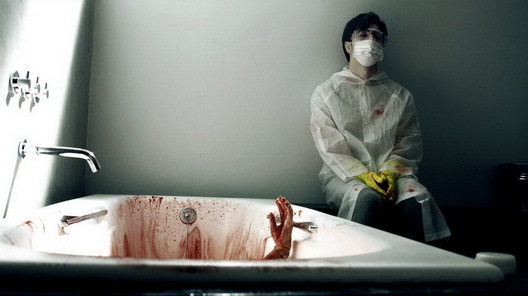 Sono then released the macabre, somewhat-based-on-true-life events film Cold Fish, which continued to raise the director’s international profile. For more information about BUFF, go check out their website: http://bostonunderground.org/ and make sure to support them.